Unfortunately, car accidents happen every day, and the fact that we live in one of the largest tourist destination states means a larger number of drivers on the road, and a higher likelihood of accidents. On average, there are about 1,000 car accidents that occur in Florida every day. With these numbers, it is important to have an experienced law professional at your side every step of the way.The professionals at DeCarlis & Sawyer have the tenacity it takes when fighting for just compensation up against insurance companies and juries. Our car accident lawyers are dedicated to getting the best results for you or your loved one. After a car accident, it is important to seek legal help as soon as possible. It is recommended that you do not make a claim to the insurance agency prior to speaking with a legal professional. Our attorneys can help you file an insurance claim, and can also put you in contact with the medical professionals you may need. It is imperative that you seek medical care as soon as possible after a car crash, no matter the severity of your injuries. Injuries sustained as a result of a car accident could be debilitating if left untreated. As soon as you or someone at the accident scene is able, photographic evidence of the damage caused by the crash should be obtained. 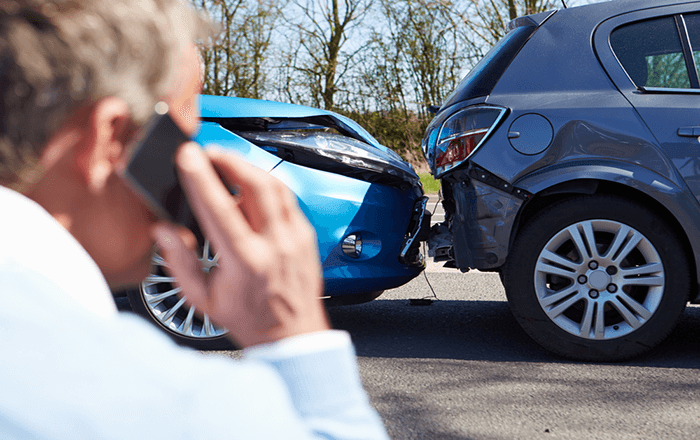 Insurance companies will need extensive proof that the accident was severe enough to cause your injuries, otherwise they will not want to pay up. Photos should as much of the accident as possible, and should include important parts of the vehicle such as the hood, trunk, and underbody. Having detailed photographs as evidence will help us thoroughly build your case. Car accidents can happen fast, and thanks to a Florida law passed in January of 2013, you have to act faster to seek medical care after an accident. The law states that you must seek medical care for your injuries within 14 days of a car accident, or you forfeit the personal injury protection (PIP) portion of your policy. In order to be covered, you must be diagnosed with an “Emergency Medical Condition” (EMC) by a medical doctor (M.D. ), osteopathic physician (D.O. ), dentist (D.D.S. ), physician’s assistant (P.A. ), or advanced registered nurse (A.P.R.N.). If you are not diagnosed with an EMC, then your medical benefits under your PIP coverage are reduced to $2,500.00. This legislation makes it extremely crucial for you to contact an attorney right after an accident, to ensure that you receive payment and medical care pursuant to your insurance policy. If you have been injured due to a car accident, contact us immediately. We assure you that we will have an experienced, highly qualified car accident lawyer handle your case. Compensation can be sought for pain and suffering, medical bills, and lost wages. Your first consultation is free, and there are no fees unless we win your case.